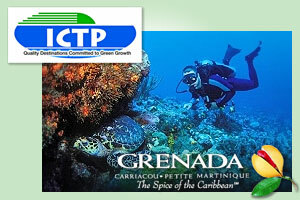 ICTP is for quality destinations and Green Growth. All members support this commitment. ICTP is a Global Alliance to support and promote Destinations and their Stakeholders in selected locations with a shared belief in well managed travel and tourism as a driver of community business, jobs, well being and happiness. 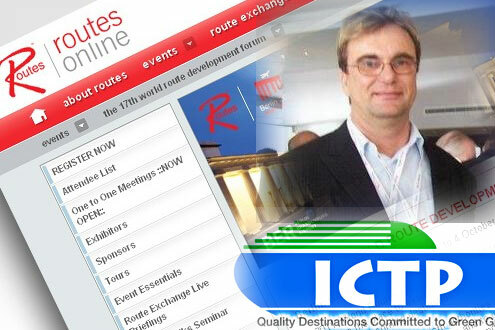 • Quality in all aspects of destination management and marketing. • Green Growth that promotes low carbon and environmentally sound development. The alliance is about sharing resources. It helps increasing competitiveness, business and corporate social responsibility for your destination. • Cooperative marketing/ promotion/ branding that helps members improve business, extend limited budgets and deliver quality in green growth initiatives. We will position your products and reinforce your marketing / promotion efforts using the proven global support services and multimedia platforms of global media groups such as trade and mainstream media, as well a major presence at trade shows, events and conferences in your key markets and potential secondary markets around the world. By engaging with supportive service providers, we will also offer deeply discounted tailored opportunities for you to improve your performance in such areas as communications and public relations including media outreach, social media, e-marketing, advertising, sales, video conferences and webinars. We will provide guidance and education to help you devise policies and programs that create progressively more sustainable travel and tourism communities, companies and related visitor actions. We will also integrate web based linkage to the Live The Deal platform to cut through the bureaucracy and clearly identify your governments carbon commitments, as well as provide a constantly growing set of global good practices at country, community and company levels. Through greenearth.travel and its partners around the world we will identify strategies, innovations and funding that will support your transformation. We will also profile public/private partnerships that are good models. We will also focus attention on model eco-developments, new techniques and technologies that will help in your infrastructure and operational strategies. And a word on what we are not. We will not be a lobbying body, but will from time to time express views on what we believe are self-evident realities that others may not want or be able to express. Nor do we see ourselves as an alternative to the other excellent bodies that are supporting the Travel and Tourism sector at public, private and civil society level – internationally, regionally, nationally and locally. Rather we will be a valuable complement – hopefully allowing ICTP Members to amplify the benefits from participation in these organizations programs and events - by our focus on quality and green growth, our unique presentation of members’ commitments and our value added support services. We see our increasing presence at industry events and trade shows, as well as our multimedia focused presence as key tools in this. We truly hope this convinces you to join what is in effect the responsible top destinations club and if you need more, our contacts below will get an immediate and personal response. 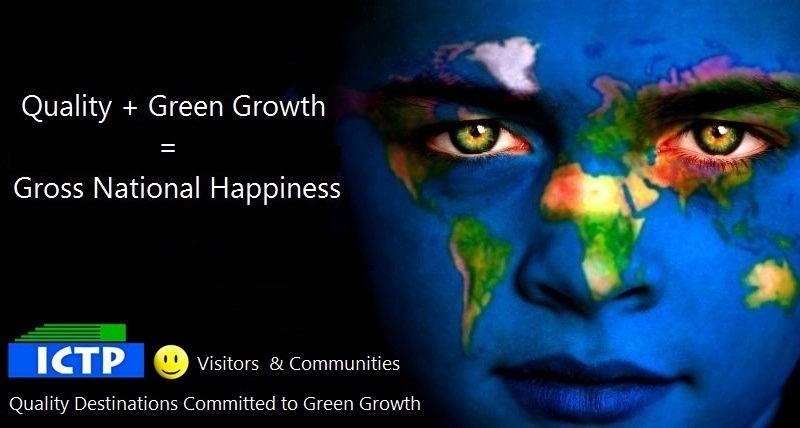 The managing partner of the Green Growth 2050 and Travelism Initiative for ICTP is greenearth.travel. Please click on Green Growth 2050 and have a look at the opportunities there are for you, notably on how to get your own destination a strategic 2050 roadmap in place.